REQUIRED UNIFORM PACKAGE IS TWO GAME SETS PLUS TRAINING SET. 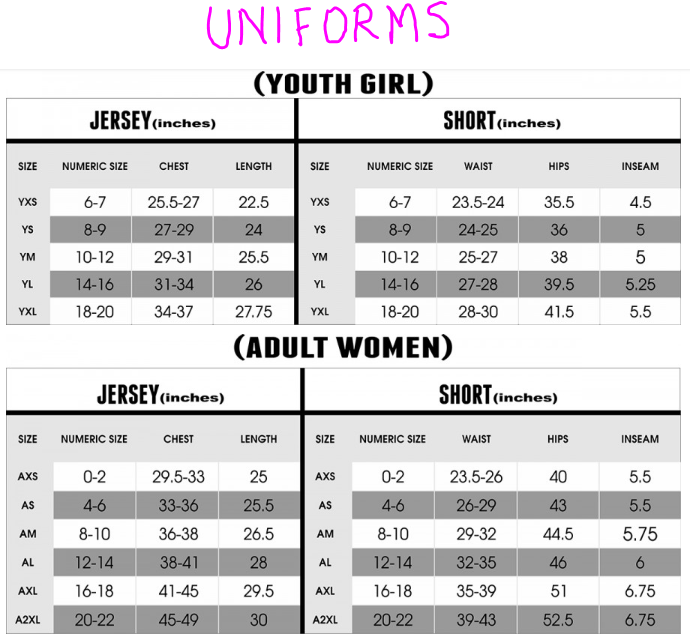 Note: A set means a jersey, a pair of shorts and a pair of socks. Required only after 1st year in the club (competitive program). 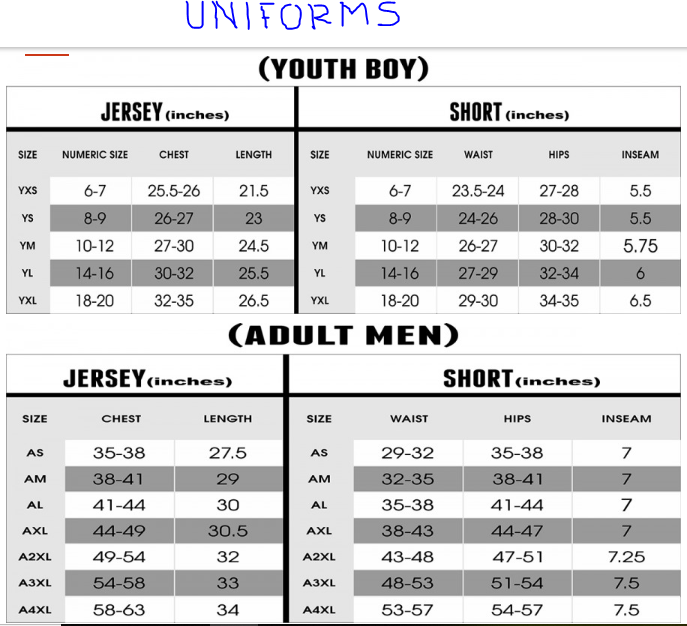 – For youth academy players (U4-U9), top class sublimated uniforms will be provided by the club to the players, at no cost (except the socks). Interested families are welcome to buy the uniforms. Please indicate your size during the player registration process in gotsoccer. Note: Families who want to own the uniforms instead borrowing them can buy them on sale when they register or later on in our online store. – Players who borrow them will return the set (2 jerseys and 1 pair of shorts) at the end of the soccer season/year in good condition if they are not returning to play the following season, or if they are moving from a U9 Academy team to a U10 competitive team. Besides Warm-Ups , and Hoodies, a game back pack, and other apparel will be available for the 2018-19 soccer year.. Contact Director of Coaching, Juanjo Carmona, if you are a coach and need any of the official’s coaches apparel. (kuintela@msn.com). Order additional coaches gear here.